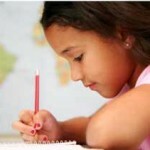 Our Handwriting is not just a sample of Handwriting but a lot about our Personality. Personality means and includes a Person’s character, behavior pattern, communication level, goal orientations, negativities, anxieties, frustrations, hidden potentials, physical energy levels, fears etc., In a sense, handwriting reveals more than a common man can think about it. As our face is the index of our mind, our handwriting is nothing but the mirror of our personality traits. We generally understand our friends, family members, colleagues by way of their conduct and the way they behave with us. On that basis, everybody is branded by other people either as a good person, honest, kind hearted, helpful, genuine, friendly, humorous, selfish, stubborn, argumentative, egoistic, lazy, cunning, rude, rigid, short tempered, superiority complexes, fearful, coward etc., However, a person’s real nature and his conduct need not be the same. An honest person may conduct himself as a very strict person rather than friendly and a person who always projects a smiling face not necessarily be kind hearted or honest person. Hence, we should not only go by the way they behave with us but should clearly look into the deeper side of their personality. Handwriting Analysis is the process in which we can find out a person’s real true nature as well as how they behave with others and its inconsistencies, if any. 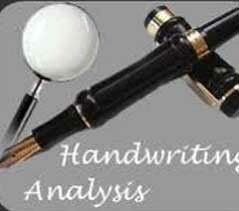 A person who is qualified, acquired competency & experience in the Science of Handwriting. Handwriting Expert is a person who has knowledge, experience on the many usages of graphology in Psychology, Business, Education, Social, Personal etc. As we need improvement in all the areas of our lives such as Personal Improvement, Educational Improvement, Professional Improvement, Social Improvement, Economical Improvement, likewise, a person whose handwriting is not legible, neat, understandable, needs improvement in his Handwriting. Since, our Handwriting communicates with the readers even in our absence and projects our image without our interaction, we require handwriting improvement. When a person feels that his handwriting requires to be improved he will ask the following questions: 1) How to improve Handwriting? 2) Where is the Institute or Coaching Class to learn? 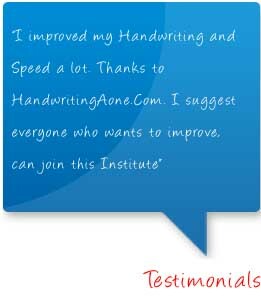 3) How many days required to improve handwriting? 4) Will my handwriting be neat, legible & understandable? 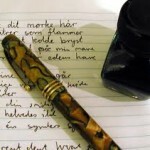 5) How to follow the tips of Handwriting? 6) Whom to contact? 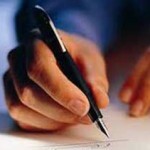 For all the questions of How, Where, When, Whom about the Handwriting class, visit the separate menu – Handwriting Classes. Join our Summer 2019 Batch Classes. Admissions Started. Book your Seats & Commence the Classes Today. Hurry. Improve Handwriting+Memory + Concentration+Confidence – 1 Month – 1 Hr – Rs.3990/-, Handwriting Class, Speed Writing & Joint Writing – 1 Month – 1 Hr – Rs.3498/-, Grapho Therapy – 1 Month – 1 Hr – Rs.4999/-, Learn Calligraphy – 1 Month – 1 Hr – Rs.3990/-, Improve Personality – 30 Days – 1 Hr – Rs.6999/-. Join & see the Benefits. Improvement Assured. Hurry! Limited Seats.